Liora Manne Belmont Border Indoor/Outdoor Rug Grey Save Now! Vacuum regularly. Sponge spots to clean. To clean full Rectangular Rug, gently rinse with a solution of mild detergent and water. Hose Rectangular Rug clean, lift off ground allow to dry thoroughly. Reducing exposure to rain and moisture will prolong Rectangular Rug life. Use of a Rectangular Rug pad is recommended. 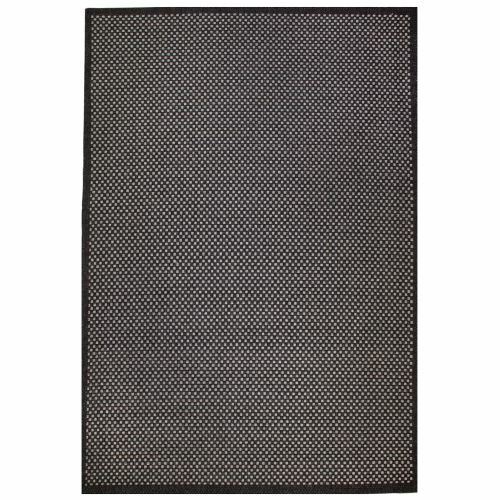 Liora Manne Belmont Border Indoor/Outdoor Rug Grey Measures 39"X59"